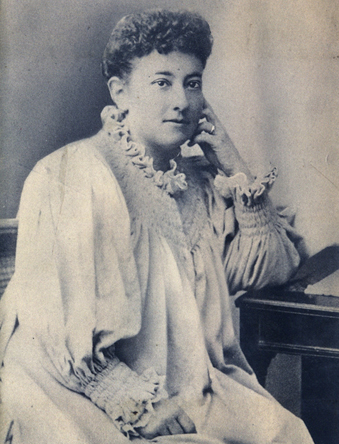 The feminist and socialist writer and social theorist Olive Schreiner (1855-1920) was one of the most important - and radical - social commentators of her day. Schreiner's published writings include novels, allegories and influential works of social theory, among them The Story of An African Farm, Undine, From Man to Man, Dreams, Dream Life and Real Life, Trooper Peter Halket of Mashonaland, The Political Situation, Closer Union, and Woman and Labour. Around 5000 of Schreiner’s letters, written between 1871 and 1920, survive. They appear in The Olive Schreiner Letters Online just as she wrote them - including omissions, spelling mistakes, deletions and insertions. Schreiner's letters have these strong 'bird in flight' characteristics, and as a consequence they provide a unique source for exploring the unfolding thinking of one of the great feminist theorists and New Woman writers. Her letters are an unparalleled resource for investigating colonialism under transition, feminism and socialism, prostitution, marriage, changing understandings of ‘race’ and capital, imperialism in southern Africa, the South African War, women's franchise campaigns, ‘race’ and labour issues, international feminist networks, pacifism and war economies, political and economic change in South Africa post WW1, and much more.